San Francisco’s city hall building celebrated its 100th anniversary today, complete with a visit from mayors from around the country as well as the president. But this is a city that knows how to party — there was also live music, food trucks, various sculptures, and a light show projected on city hall itself. I recorded the light show nearest the northern wing of the building, so for the most part my videos reflect what was projected on that half. Without further ado, here’s my YouTube videos. Dolores Park: What’s in a name? Photo copyright Todd Lappin. Used under a Creative Commons license. The freshly renovated section of Dolores Park opens later this week. If you’re like most people, the name “Dolores Park” conjures up images in your mind of a never ending Pabst-soaked frat party. But why is it called Dolores Park? Who — or what — is it named after? Let’s start at the beginning. Originally, the park was a cemetery. The city bought the land to turn it into a park and starting coming up with designs in 1905. Those designs were put on hold as the land was used as a refugee camp for people who were freshly homeless thanks to the 1906 earthquake and fire. According to the Priceonomics blog, the original park construction took place from 1908 to around 1910. Various improvements, including the removal of a wading pool, were made in the 20′s and 30′s. 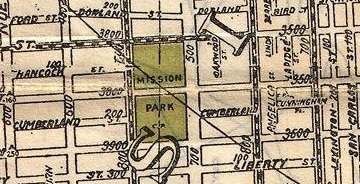 Take a look at a map from the early 1930′s and you’ll find Dolores Park originally had a different name: Mission Park. At least at first, it seems like a safe assumption that the park was renamed in honor of the nearby Mission San Francisco de Asis, aka Mission Dolores. After all, that building is the namesake of the city and the neighborhood, not to mention a street that takes you to Dolores Park. But since the park was already named after Mission Dolores in the first place, it seems like an unnecessary name change. Given the lack of available historical records, and given what they say about assumptions, I felt more research into this topic was needed before I could be certain. Now I know what you’re thinking — let’s check Wikipedia! Well I hate to tell you this, but that’s when this entire endeavor slid into a serious rathole. Dolores Park is named for Miguel Hidalgo (El Grito de Dolores), the father of Mexican independence, and the town of Dolores Hidalgo, Guanajuato, Mexico. As a priest in Dolores, it was Hidalgo’s ringing of the town’s church bell and public cry for freedom that sparked the Mexican revolution. A statue of Hidalgo and replica of the church bell at Dolores Hidalgo were erected in the park to honor the father of the Mexican independence movement, and the town where it all began. In recent years, the park has been frequently and incorrectly referred to as “Mission Dolores Park”. The confusion probably stems from the assumptions of many romanticists, that based upon its former and current names of “Mission” and “Dolores” suggests it must’ve been named after Mission Dolores two blocks to the north. Logic, however, dictates that such monuments to the most pivotal moments in Mexican history would not sit in a public space bearing the name of an institution seen by many as a symbol of Spanish colonialism and oppression. Huh. That does explain why Dolores Park contains the Mexican liberty bell replica and the statue of Miguel Hidalgo. 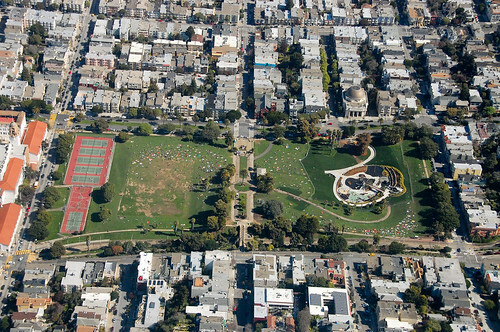 Those features of the park were installed in the 60′s, and it’s plausible that Mission Park was renamed Dolores Park at that time. Now here’s the problem — that entire section on Wikipedia has no citations, and is largely the work of a single anonymous user who goes by the name DoloresParkLover. Previously, the page attributed the park’s name to Mission Dolores, but that version was also citation-free. Still, I have to admit that the park’s decorations feel very out of place without this context. But if what it says on Wikipedia is true, that’s one hell of a naming coincidence. At this point I thought maybe looking at newer maps would do the trick to verify the name of the damn park, but it turned out once again I was being naive. Google Maps, Apple Maps, and OpenStreetMap all list the park as “Mission Dolores Park,” whereas Nokia HERE Maps call it “Dolores Park.” Foiled again. Combing through the current version of the city charter (the only version I could find online) was not helpful either. Dolores Park is only mentioned twice, and both times it’s referred to as “Mission Dolores Park.” Then if you look at the planning maps that go along with the charter, it’s referred to instead as “Dolores Park.” Sigh. It’s worth noting that SF Park and Rec calls it “Mission Dolores Park,” and their own website says the park was “[n]amed for nearby Mission Dolores,” while SFMTA asserts that the park is named after our old friend Miguel and his freedom cry. As usual, our city’s agencies can’t agree on anything. I reached out to a Parks and Rec official for comment but haven’t heard back. So after all this I have to admit defeat. I started out with a simple question, but it raised more questions than answers. Hell, I don’t even know what the park is called anymore! Perhaps the only remaining course of action is to give in and call it Brolores Park. Cheers, and happy day drinking. Photo copyright Flickr user Ged Carroll. Used under a Creative Commons license. We’re all familiar with checking the weather and seeing the temperature measured in Fahrenheit and/or Celsius. But aren’t those scales a bit arbitrary? Celsius’ 0 to 100 range is based on freezing and boiling water, respectively. 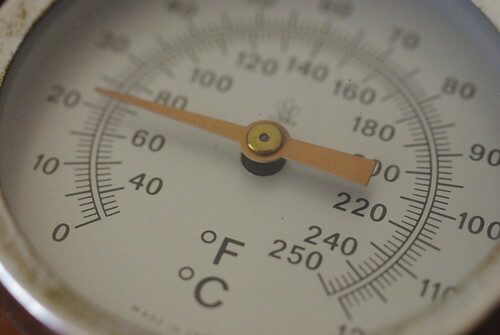 Fahrenheit’s scale is based on… well, who cares. It doesn’t make any sense. But neither scale was invented specifically to represent the weather. I say it’s high time to change that, and moreover to keep it local. The people in say, Honolulu or Copenhagen have very different temperature sensibilities — they can come up with their own scales. 100 SF 85 30 OMG waaay too hot! Time to strip naked and take the ice bucket challenge out of necessity rather than charity. 50 SF 65 18 Perfect, average temperature! Safe to leave the house without getting burned by the evil sun or freezing to death. 0 SF 45 7 Ugh, are you even serious? I put a jacket over my hoodie but I’m probably still going to get frostbite. Now when your friends from Colorado or whatever come to visit and complain that you’re being a pansy for wearing 6 undershirts when it’s 40 F out, you can respond by pointing out that in your local weather scale, it’s actually -12.5 SF. Freezing! That’s all there is to it! Incredible. Now if you’ll excuse me, it’s 87 SF in here — I need to go take a cold shower and think about purchasing an air conditioner. You are currently browsing the MrEricSir.com blog archives for June, 2015.